Large rolled arms, plush back cushions, and a curve shaped front give this loveseat an inviting design. 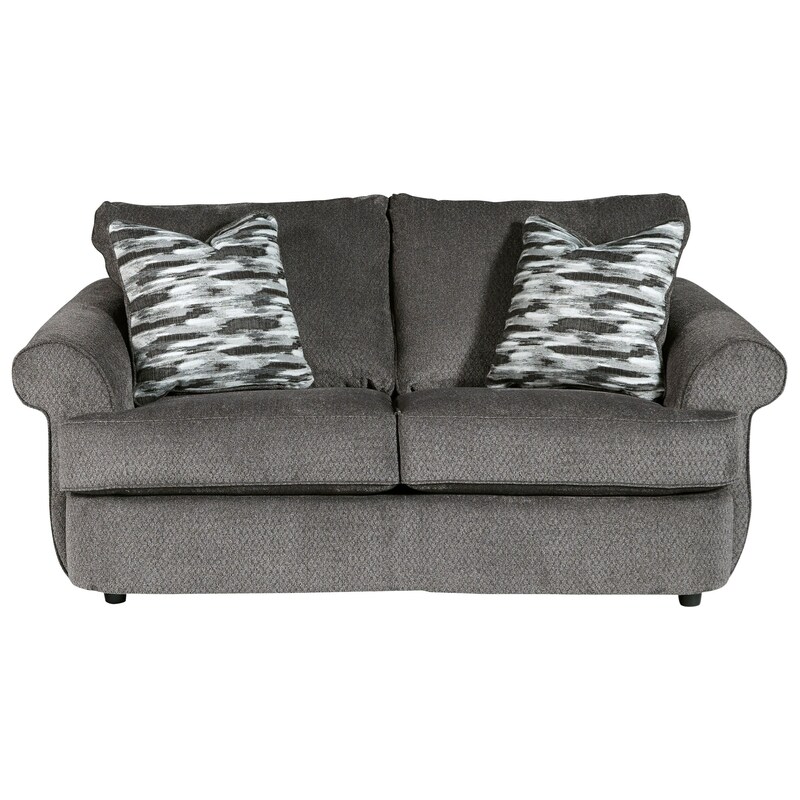 Textured gray fabric and two accent pillows with an abstract print on one side completes the loveseat's look. The Allouette Curved Front Loveseat in Gray Fabric by Benchcraft at Household Furniture in the El Paso & Horizon City, TX area. Product availability may vary. Contact us for the most current availability on this product. The Allouette collection is a great option if you are looking for Contemporary furniture in the El Paso & Horizon City, TX area. Browse other items in the Allouette collection from Household Furniture in the El Paso & Horizon City, TX area.